Amethyst are an upbeat Rock & Pop Trio that are ideal for large Corporate Events, Hotels and Weddings alike. With a high-octane and a playlist to suit all ages, this band regularly perform to large audiences. Book today! Amethyst are a highly sought after trio of professional musicians who have been wowing audiences across the UK with their carefully crafted two hour show jam-packed with classic rock, pop and soul – a supreme entertainment experience to excite guests at corporate events, weddings, graduations, prom balls – in fact all high-profile functions! Don’t just take their word for it- please see what Corporate Event organisers, Newlyweds and Clubland are saying about them in the ‘Reviews’ tab above. As a trio of highly experienced professional musicians, they have taken their packed-out classic contemporary music show to event venues right across the UK and Europe. They provide high-octane entertainment and dance focussed hits of the 60’s, 70’s, 80’s, 90’s, ‘noughties,’ and today. Amethyst combine professional lighting and special stage effects to provide an outstanding visual and sonic experience. Their show is chock full of superb musicianship, dual harmony lead guitar breaks, rip-roaring guitar solos and sparkling vocal harmonies! …dancing, singing and playing air guitar! Make your enquiry today! Kevin: Bass guitar, lead and backing vocals, music production, drum and visual effect programming. 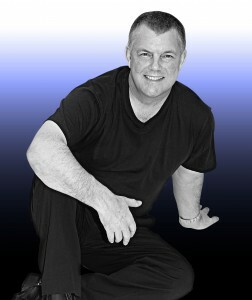 Kevin is a professional musician and stage performer with over 30 years experience, touring extensively throughout not only the UK, but Europe and the USA too. Already well established on drums and percussion, Kevin decided to switch to bass: “Having made the decision to step out from behind the drums, holding down the low-end has been my passion ever since!”. He now performs on Status and Alembic basses, using SWR amplification. Kevin has performed at The Royal Albert Hall, the original Marquee Club in Wardour Street, London (where such bands as the Rolling Stones, the Who and Elton John began their careers) and London’s Nashville Rooms, home to the British punk-rock movement. Originally from Oxford, Kevin cut his teeth in the Oxford music scene, playing with local bands Far Call, Tickled Pink and The Jets. His musical influences include Slade, the Doobie Brothers, Queen, Eagles, Steely Dan, Elton John, Billy Joel, 10cc, Genesis, Stevie Wonder, coupled with a deep appreciation of Soul and Motown. Kevin tops off with a love of American ‘big production’ bands such as Toto, Journey and REO Speedwagon. Oh and did we also mention The Police and Level 42? “I like music with harmony, melody, musicianship and a rockin’ riff coupled to lyrics that mean something!”. When not out on the road, Kevin can be found in his recording studio, writing and recording and producing most of the music and show effects used by Amethyst in their live show events. amplification. Having years of experience as a performing artist, when not on stage Chris also works closely with musicians from Liverpool’s Philharmonic Orchestra to promote the therapeutic aspects of music, taking his experience as a professional musician into the hospitals and schools in the region. Chris discovered his love of guitar on his 18th birthday, teaching himself guitar by playing Beatles standards. It didn’t take him long to discover he had a great rock voice too – within six months Chris was performing playing in a duo, securing regular gigs in the pubs, clubs, and wine bars across Sheffield. Chris’s duo developed into a larger band called ‘Grasshopper’, and they were soon offered the weekly residency slot at the prestigious ‘Under the Boardwalk’ music club in Sheffield. Grasshopper were given the opportunity to record an album of their own songs at Sheffield’s Red Tape Studios, and in the summer of 1999 they found themselves touring across Europe – were they were even invited to play at the wedding of the Mayor of Majorca’s daughter. 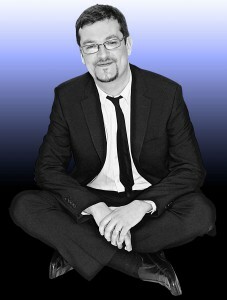 Returning to the UK, Chris established himself as a solo artist before joining Kevin on the North West circuit, later becoming a founding partner in ‘Amethyst’. 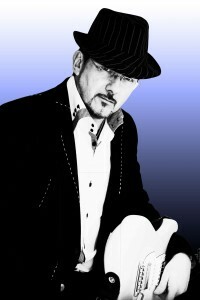 Mal: Lead guitar, acoustic guitar, keyboards and backing vocals. Following a career as a successful recording artist in Scandinavia, Mal plays lead guitar for Amethyst. His guitars include Fender, Fret King and Yamaha, Mal also performs on Roland and Korg keyboards via Bognor, Fender and Gallien Kruger amplification. Mal has played with many famous names including Ian and The Zodiacs, where he performed alongside Les Maguire, keyboard player with Jerry and The Pacemakers, playing the Hamburg Star Club’s 40th anniversary gig held at the Kaiser Keller in 2002. Mal also performed and with Scotty Moore (Elvis`s first guitarist), Tony Sheridan, King Size Taylor and the Dominoes and many others. Starting at an early age Mal was already an RSM grade 8 pianist at just aged 13, having saved up the grand total of £8.00, Mal bought himself an acoustic guitar and quickly established a new musical passion! Four years later, he successfully auditioned for a job with the Harry Bence Orchestra (later known as “The New Squadronaires”) as a replacement for the now world famous Martin Taylor. This orchestral experience led to studio session work on jingles for the BBC and others. After playing on tour in Scandinavia Mal moved to Norway. There he released two albums with CBS, reaching the number two slot in the Norwegian charts. Regularly headlined on Scandinavian TV, he shared the spotlight with Bob Dylan, AHA and John Martyn. His second European tour found him sharing stages with acts such as Status Quo, Leonard Cohen, Carolla and Mink De Ville. Returning to the UK, Mal diversified into live and studio sound engineering. A setlist to appeal to all ages! Usual lineup: Lead Vocals and Lead Guitar ~ Backing vocals, Lead Guitar and Live Sound Engineering ~ Backing Vocals, Bass Guitar and Music Production. In the Amethyst setup you will hear sparkling three part harmonies, dual harmony lead guitar breaks (think Hotel California, Thin Lizzy etc.) rip-roaring guitar riffs, and full brass and horn sections. They are professional, highly accomplished musicians who write and arrange their backing using a 24 track studio. Amethyst are a ‘get-up-and-dance’ party band. For weddings and personal anniversary special occasions, Amethyst can learn a couple’s favourite song and perform it live. Usual performance duration: Set lengths depend on your requirements and/or the venue owners. For a wedding or corporate event, Amethyst typically perform 2 X 60 minute live sets, however they have enough material play for three hours and more (they know a lot of songs!) and the length of their live sets will be reflected in the fee. If Amethyst are also providing the disco (see below), they will provide disco music before, during their live set break and after their live sets. This is by far the most popular for Weddings. Setup/Soundcheck length required: It takes about one hour to set up their stage. On average, Amethyst can finalise their soundcheck within 20-25 minutes. PA & Lighting? : Yes Amethyst bring top of the range professional sound and lighting equipment. The lighting rig includes lasers and smoke/mist machines etc. Evening’s Disco? : If you require the evening’s disco in addition to hiring the band (for a wedding, for example) Amethyst can provide this for an additional charge which is extremely cost effective. “Amethyst were the main entertainment act at RAF Spadeadam’s Christmas Dinner and Dance on Friday 6 th December. The all-ranks combined mess was rocked with a two-hour show of popular hits from all genres and across several decades; something for everyone. “Amethyst created fun and groovy tunes for all our guests at Brainwave’s charity ‘Snow Ball’ at the prestigious Mere Golf and Spa Resort Hotel in Knutsford. The mood was created with songs from the Doobie Brothers to the Beatles, Stereophonics, Killers and the Kings of Leon. “Amethyst played the Reigate Club on Saturday 14 December. After the first set, the audience are asked to rate their appreciation of the act, i.e. how much did they enjoy the act on stage? At the end of the first half the votes are put into a computer and the average value is calculated. “Everybody had a great time at our summer Gala night, great comedian and you lot were as brilliant as I’ve seen you. It’s been a couple of years since you last played for us at a Gala night and I had many members comment that you were thoroughly worth the entrance fee!